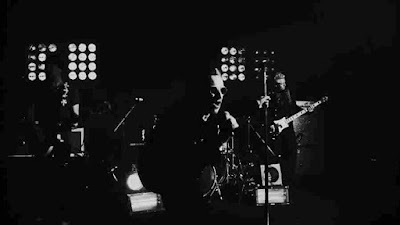 According to U2gigs.com, the clip was covertly filmed by director Richie Smyth at Amsterdam's Westerunie venue on July 28 during the European leg of the band’s Joshua Tree 2017 tour. U2 previously debuted “The Little Things That Give You Away” from the record during an appearance on ABC-TV’s Jimmy Kimmel Live in May (watch it here). The band will share more details about the follow-up and companion set to 2014’s “Songs Of Innocence” when they release the project’s official lead single, “You’re The Best Thing About Me”, on September 6. Currently on a break following the European run, U2 will resume the North American leg of their 30th anniversary tour of “The Joshua Tree” on September 3 in Detroit, MI, with shows wrapping up in San Diego, CA on September 22. October will see the group play a pair of dates in Mexico City before heading to South America for more concerts, including a four-night stand at Morumbi Stadium in Sao Paulo, Brazil.